I couldn’t resist trying out my new chocolate moulding skills on the cupcakes I made for Catherine’s birthday. She loves chocolate and the roses and butterflies looked really pretty on the chocolate cupcake with coffee icing. 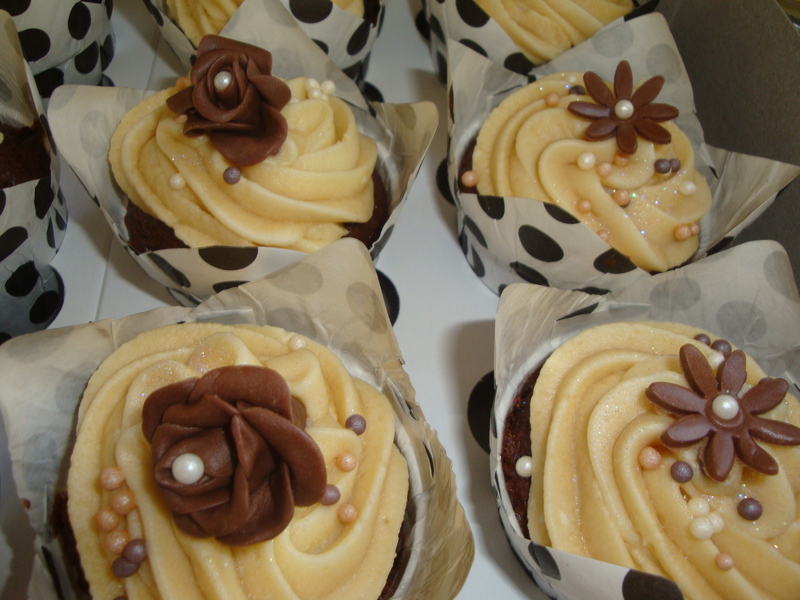 The coffee iced cupcakes are wonderful as a gift because as you open the box you get the most wonderful coffee aroma from the cupcakes just perfect to delight all the senses. Happy Birthday Catherine.